Our TH400 to the Jeep New Process (or New Venture) transfer cases conversion makes for an absolutely strong and capable assembly both on-road and off-road. 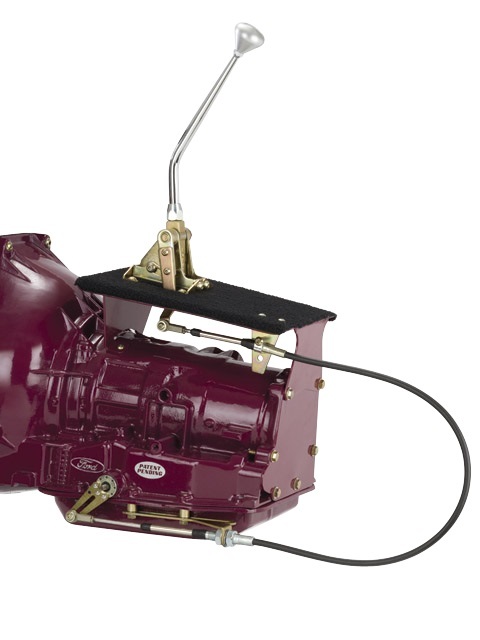 It remains one of our most requested automatic transmission to transfer case combinations. Advanced computer modeling methods were integral to the design of our #141 adapter assembly. 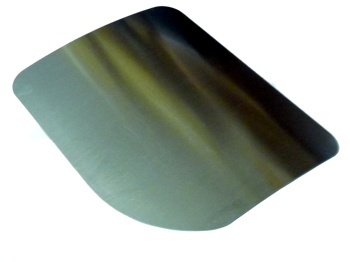 We were able to push the bounds of product and process well beyond the status quo. The Novak TH400 to Jeep NP / NVG transfer cases adapter is very compact at only 1.4" in length. This adapter assembly is the shortest Turbo 400 adapter in the industry, providing a combined transmission and adapter length of only 25.9" (equivalent to an 18.9" manual transmission / bellhousing combination). 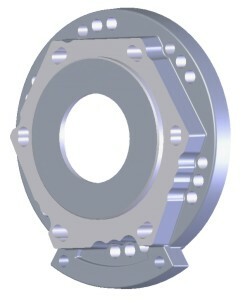 The adapter itself is machined of a 6061T6 billet aluminum alloy, featuring thick flanges and a heavy cross-section. Our adapter is drilled for multiple clocking locations from near-factory (20 degrees down) to near-flat (3 degrees down). However, pan clearances and front axle width may inhibit the flatter options. 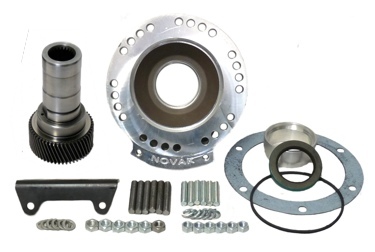 This transfer case adapter's design is based on Novak's Universal Series adapters that feature a modular mounting and support system. 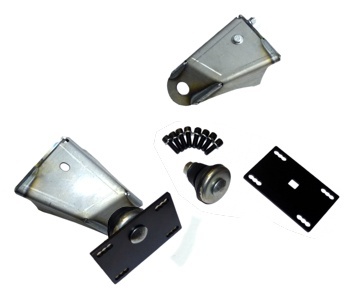 Included with the adapter kit is a steel base that is a highly configurable mounting foot, and is ready to accept our industry standard urethane isolator mount and is available for purchase below. AMC Jeep style transmissions from 1976-1979 featured a tilted transmission case casting, and for this we make an optional "R" variation. 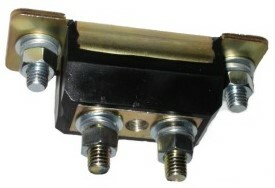 This adapter configuration is unique on the market in that it levels the adapter's base foot for square mounting on the rear isolator mount and crossmember. 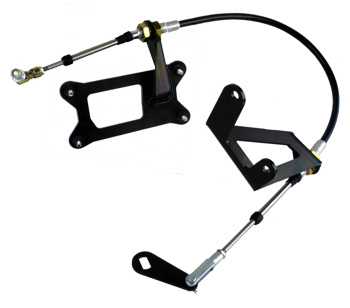 This is useful in that the adapter allows installation without clocking your transfer case down, or having your transmission mount sit crooked. Customers should choose this version only for AMC TH400s of the above era. Earlier Jeep units featured "universal" cases that were level as conventional. These earlier cases are identified by their use of a factory 400 transmission to Buick or AMC engine block adapter. 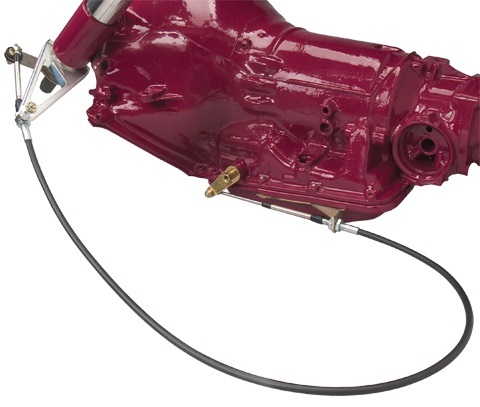 All versions and years of the TH400 can be adapted to the Dana 300 and NP (New Process) transfer cases. Chevrolet, Buick/Oldsmobile/Pontiac, Universal versions all work equally well. Many manufacturers sourced the TH400 from GM, even companies like Ferrari and Jaguar used them. 2 or 4WD versions all work equally well with the correct adapter option. The 21 is substantially weaker than the 23 spline version. 21 spline versions were only used in the 4 cylinder applications and some very early automatic 6 cylinder versions. WE DO NOT OFFER A WARRANTY ON ANY OF THE 21 SPLINE SHAFTS because of this weakness. Our recommendation is to change the input to a 23 spline version as sold below and don’t put a drivetrain “fuse” in a bad location. On lower powered V6 applications in a lightweight vehicle driven conservatively you may get away with it. The 141-A adapter is compatible with all versions of the TH400. If you have a 2wd transmission or a 4wd transmission that is undergoing a rebuild anyway, are unsure what TH400 you have (or will have at the time of the conversion), or your transfer case was just rebuilt (doesn’t leak) and you’d rather not open it back up, then the 141-A kit is your best choice. The new 23 or 21 spline TH400 output shaft is machined from stock material through an extensive process ensuring maximum strength and a precise fit. 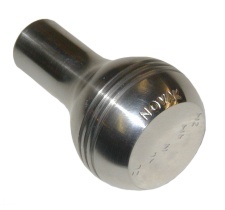 The new Novak shaft splines directly into the OEM style input shaft of a 23 or 21 spline transfer case. The 241OR Rubicon must use the 23 spline output version. This requires disassembly of the transmission, and we recommend the services of a transmission professional. The basic installation is a 2-2.5 hour bench job and will include at least simple gasket and seal replacements. Be sure that if your transmission is missing the output speed sensor it is added at this time, see below for the correct parts. This is a good time for a more thorough master rebuild and update of the Hydra-Matic. 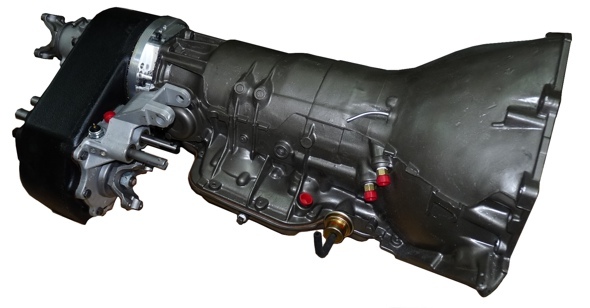 Many consider one of our complete Novak remanufactured and upgraded transmission packages. The advantage of a superior, professionally built transmission, tested and ready to bolt in delivered to you is definitely worthy of consideration. 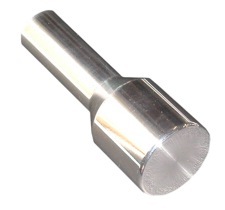 The NP203 version of the TH400 output shaft features a very short 32 spline sections measuring 1-1/4”. The extended length Novak input shaft engages this shaft perfectly. No other TH400 output shaft is compatible with this kit. One 4wd version of the TH400 is ready to bolt up to our 141-B adapter kit. Disassembly of the transmission is unnecessary as the 32 spline 4wd style output shaft is correct for this kit version. Disassembly of the transfer case is necessary to install a new matching 32 spline NP input gear. The input gear installation is a 2-3 hour bench job and usually includes either a simple gasket and seal replacement or preferably a full rebuild of a tired transfer case, especially a chain replacement. It is not requisite that you rebuild your transfer case to successfully complete the conversion. However, it is certainly worth consideration especially if your transfer case leaks or has many years of service. You will be going all the way into the front of the transfer case to install in the input gear. Our superior quality New Process master rebuild kits along with a top quality chain are the perfect solution for the job and, available below. Because this is a longer transmission, it is not compatible with most short wheelbase Jeeps if they have much lift, due to driveshaft angles. CJ7 and similar length Jeeps may be feasible if the lift is mild. However, CJ8 Scrambler Jeeps, other longer Jeeps, especially the full sized trucks and Wagoneers are ideal candidates if punishing transmission duty is a prime consideration. Any engine that can be made to work with the TH400 will work with this adapter. All of the above mentioned native engines along with others that can be adapted via a front adapter such as our 437 series kits open up numerous possibilities. Yes, it would be possible to put that Jag or Ferrari engine in your Wagoneer. Not sure of the practicalities of it but it would be possible with this adapter. 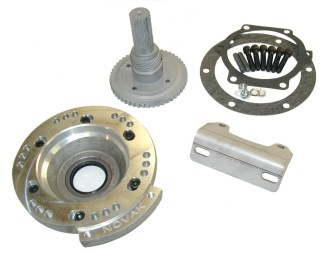 This transfer case adapter's design is based on Novak's Universal Series adapters that feature a modular mounting and support system. Included with the adapter kit is a steel base that is a highly configurable mounting foot, and is ready to accept our industry standard urethane isolator mount, available for purchase. This is our preferred rear mount unit. Our kits are designed for it, and its usage is essential to protect powertrain components from the flex and movement typical of any automobile, but especially Jeeps. Whether you are assembling onto a stock crossmember/skidplate or if you are setting up a high-clearance skid plate, you will find it to be a clean and simple process. Often the shifters are linked to your old transmission, body, or both. 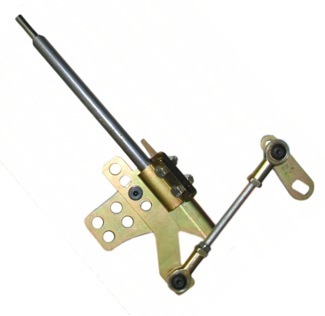 As things move or even just to have a better setup these shifter solutions prove invaluable and extremely popular. 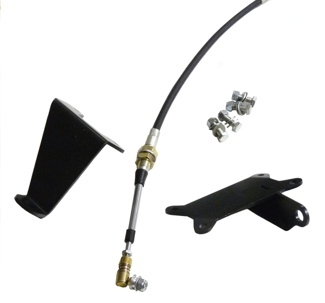 We also offer two cable shifter kits that work well. This will be best determined by your personal preference depending on the Jeep it is going in, certain shifters work better. 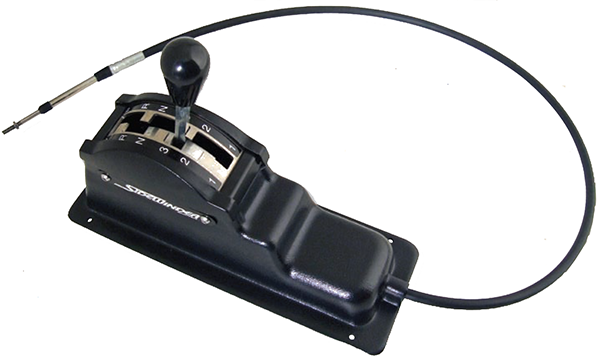 We have special brackets for the TJ to accept a special shifter version in the console. Other quality shifters made for the TH350 will also work well. 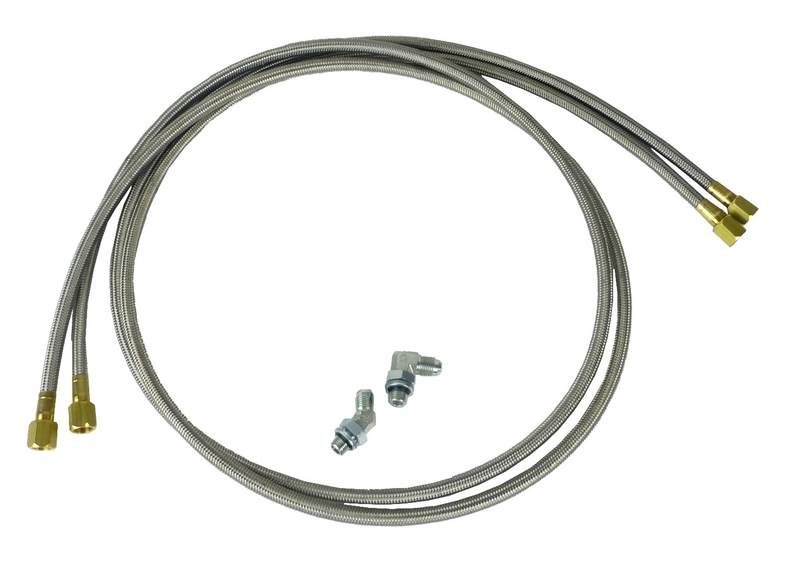 We have found that the cable versions are usually easier to install and position correctly. The New Process (or later New Venture Gear) transfer cases are unusually strong for their mass and size. As long as your chain isn’t stretched and you keep up with fluid levels they will take a surprising amount of power and abuse. 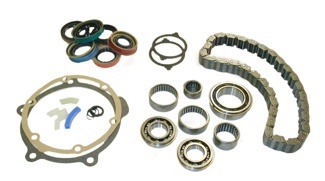 Like anything else, time and use takes its toll and these rebuild kits consist of the best available components including top quality chains and bearings. The rebuild process is not overly difficult, and if you are there anyway to put in an input gear, our advice is to rebuild, especially considering that the chains can stretch with use. The 231 kits are divided early and late about 1993-1994. However there are no guarantees that things are original or that the change was made as a clean break 93 down and 94 up. If in question, the input bearing width on these models is a good indicator. Early uses a 24mm wide bearing and late is 16mm wide. The Rubicon 241OR rebuild kit is available here. The 242 kits are a little more pragmatic with chain use. Most of the light Jeep models are the same but there are some variations in those that used a V8 as well as the Liberty and AMG versions. 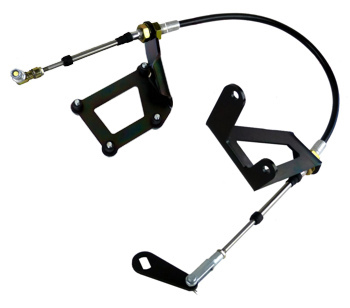 These kits are offered as rebuild components and the chains separately. The same guidance applies to year breaks as the 231 for the rebuild kits. Chains are model and style specific. Chains for the 242 had 2 pitch sizes, 2 joint styles and 2 widths and all in different combinations. 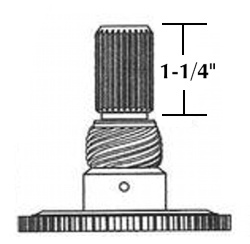 Use the above illustration in the event you are not certain about the provenance of your NP242 transfer case chain joint type. This is the most common chain used in the XJ and other light duty Jeeps. The WJ Grand Cherokee and Dodge V8 applications commonly used this wider chain. The Liberty is a unique animal with this version and rebuild kits vary as well. 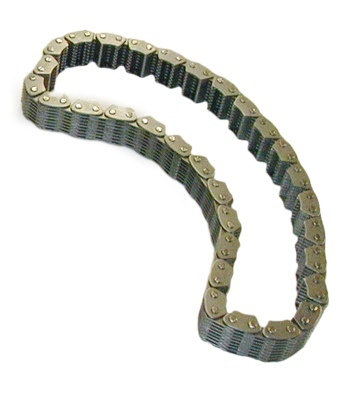 Some Jeep XJ & ZJ (Europe), NP242ECE models used this chain. The H1 AMG HMMWV, Humvee, Hummer version is 1-1/4” wide and the coarse pitch. Transmission Cooling is critical to the life of all automatic transmissions. 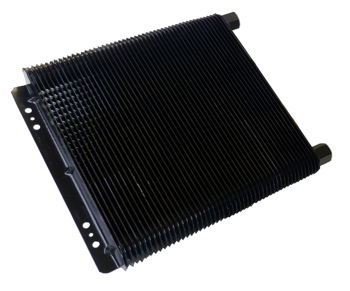 Conventional in the radiator tank coolers are simply not adequate for long life on a Jeep’s transmission. Here are the products we recommend for best performance and ease of installation. Tools required will vary depending on which kit is selected. 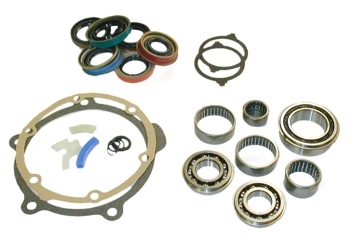 The automatic transmission takes more specialized tools and knowledge, gaskets, seals, snap ring pliers, etc. The New Process transfer case requires hand tools, large snap ring pliers, and RTV to reseal. Rebuilds are a little more involved, but not much more so. Transmission placement is largely determined by factory engine location. It is not necessary in typical conversions to change the engine position unless an engine is being swapped in at the same time as will often be the case with these kits. Setting the powertrain to the proper factory or conversion pitch angle - usually tilted down ~5 (3-7 acceptable) degrees - is recommended. Consult our engine conversion guides for more specific recommendations on placement if the engine is being replaced. Our adapter is drilled for multiple clocking locations and driver’s side drop transfer cases usually clear nicely in most all applications. Engine placement in these applications is an effort in compromise to find the best position overall as a package. Generally the engine will be about 1” or even more towards the right, (passengers’s side in the USA) away from the front differential in a Wrangler or similar application. This gives the best balance of weight (and more importantly clearance) for the driveshaft going to the front axle. Clearance is usually quite good in these applications; both the steering and front driveshaft push things towards the right. Fore and aft position will vary with the Jeep model and engine. Have a CJ5 and Gen I with a rear distributor? You’ll be better off a little forward for more rear driveshaft length and clearance for that HEI. If you are in a longer Jeep and using an LS engine with no distributor, you’ll have more fan clearance and better balance if you hold it to the rear. Usually for ground clearance tuck things up nicely for height to avoid damage to oil pans and other life giving parts in the Jeep. Common sense and taking a step back to look at things overall goes a long way.